The Internet debate we didn’t know we needed. Scrap is scraps of paper: tear offs, leftovers from cutting, less than full size pieces, construction paper, etc. Scratch paper is any piece of paper you use to take quick notes or work out a problem. It's your temporary workspace. Scratch paper is paper for doodling, working out problems, etc. that won’t be needed later. Scrap paper is leftovers from a project, sometimes enough to keep and sometimes a little that goes into the recycling. 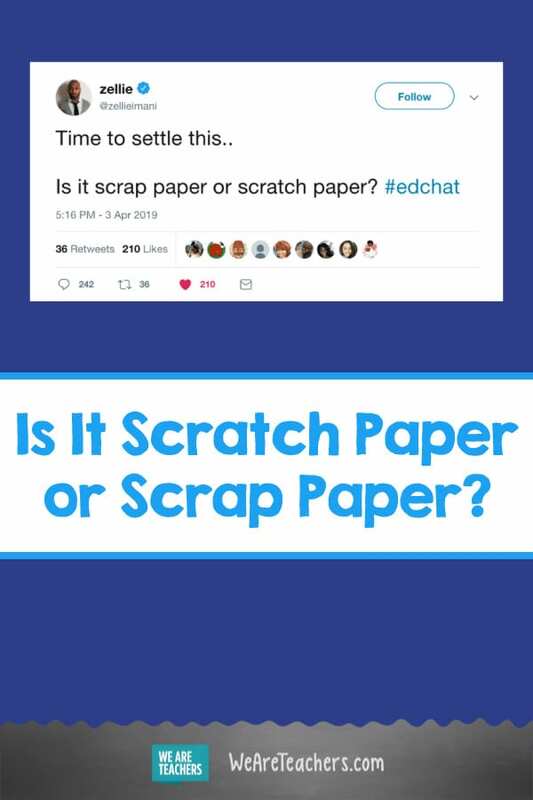 We’d love to hear—are you #teamscratch or #teamscrap? 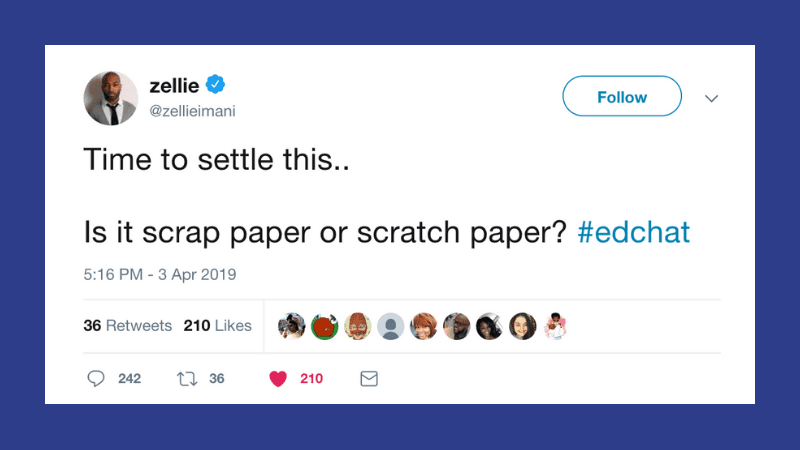 (For the record, we’re #teamscrap.) Come share in our WeAreTeachers Chat group on Facebook. Plus, are teachers dog people or cat people?